Maîtrise de Radio-France, Chœur de Radio-France, Orchestre National de France / Simone Young. 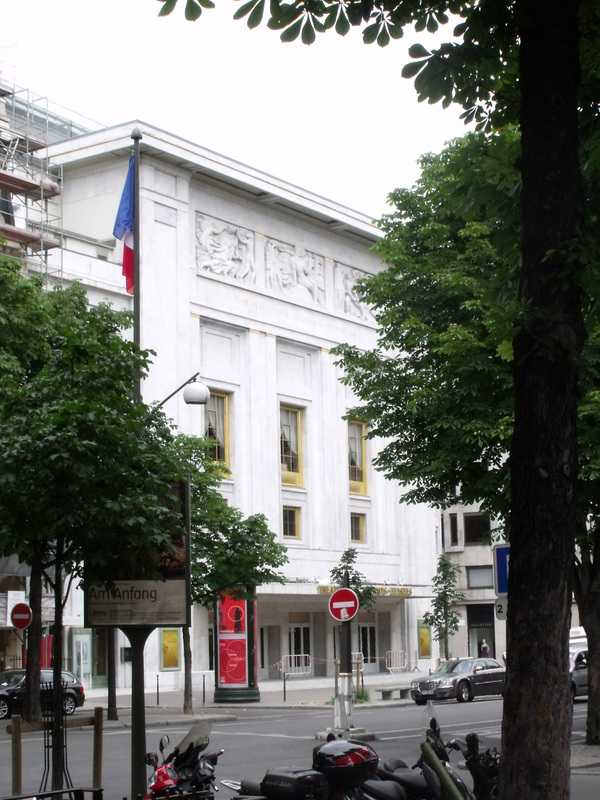 Théâtre des Champs-Élysées, Paris, France. Tuesday, January 31st, 2017. When I had the pleasure of interviewing Marie-Nicole Lemieux, this most vivacious and generous of singers, last summer, she mentioned her longstanding desire to sing the iconic role of Carmen. Tonight in concert she finally had the opportunity to do precisely that. This evening also marked the debut of Michael Spyres as Don José as part of an otherwise completely francophone cast. Despite the concert setting we actually received a very intricate and complete mise en espace, credited to Laurent Delvert, that was considerably more than a concert staging. The orchestra was split in two around a central runway at the head of which the conductor stood. 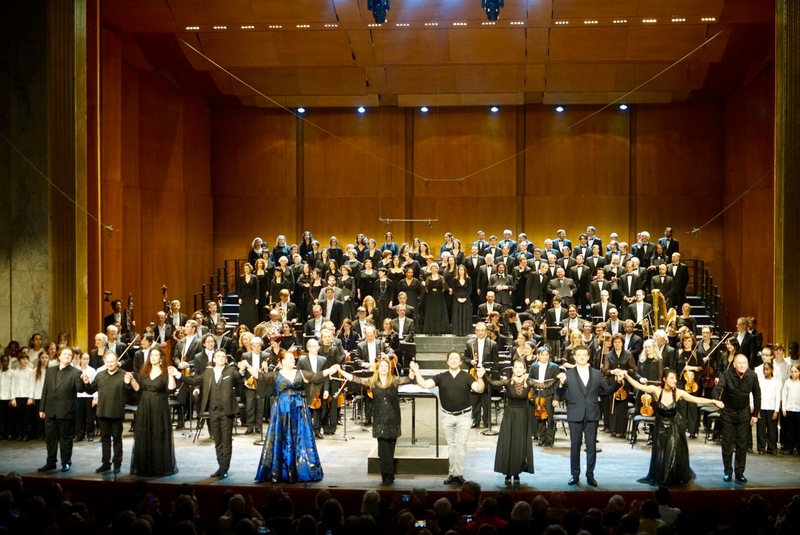 Even though the chorus was arranged in rows behind the orchestra, they were used most imaginatively to illustrate the drama – interacting with each other, using individuals from different sections to stand at different times. As a result, this was no mere concert performance but a living, breathing piece of music theatre, nowhere more evident than in a final scene of raw, searing power. Carmen at the Théâtre des Champs-Élysées © D.R. In our conversation Lemieux also brought up how so many people approach Carmen with their own pre-conceived ideas of who she really is. Tonight, I can completely and unequivocally declare that Lemieux owned the role. She gave us her Carmen, a complete and fascinating creation, one who made much of her contradictory qualities – she loved life yet was reckless in love and her thirst for danger led her to make the ultimate sacrifice. From her very first entry she dominated the stage, working it down the runway while singing a habanera that was both seductive and playful. What struck me was how much she made of the words ‘prends garde à toi’ – they were both menacing and frisky at the same time and it wasn’t hard to see why Don José couldn’t resist her. Vocally, Lemieux set her stall with a chocolaty bottom rising through a velvety and silky middle and a bright and penetrating top. It goes without saying that her diction was absolutely impeccable as indeed it was for the whole cast. Hers is a big, voluptuous and rounded sound, with the registers ideally integrated, that completely brought this spectator into her world. She also busted some impressive moves in a chanson bohème that was deliciously unhinged. For a role debut this was an extremely impressive assumption, but it was in that confrontation of the final scene that Lemieux really showed us what a great Carmen she already is. Unflinching in her vocalism, her descent through the registers was dispatched with thrilling abandon and as she sang ‘libre elle est née’ one was left with absolutely no doubt that this was a fiercely independent woman. The electricity between Lemieux and Spyres’ Don José at that moment was undeniable. Spyres gave us a gripping portrayal of a man consumed by jealously and his descent from awkward, uptight soldier to obsessive murderer. We first see him as an uncomfortable brigadier, lost in this world of soldiers and cigarette girls, never completely belonging to it nor later to the world of the smugglers. As the evening develops we see Spyres, without the aid of elaborate sets or costumes, gradually descend into his loss of reason. The final scene showed us a man who was absolutely broken, unsure of how to control himself. Spyres also illustrated this journey vocally. His ‘la fleur que tu m’avais jetée’ was sung with generosity and capped with a ravishing double hairpin. I’m not convinced it was perfectly tuned, however. Later, the sheer power that he found for the final scene was absolutely visceral. Perhaps those cries of ‘je te tiens’ at the end of Act 3 could have been dispatched with a little more abandon and passion but certainly by the time that we reached that final scene, Spyres completely convinced. The remainder of the cast was very good indeed. Jean-Sébastien Bou was somewhat blustery in his big number but he also negotiated the awkward tessitura without a hint of strain. His baritone is in excellent shape – vibrations even and a very handsome tone. Vannina Santoni is new to me and she was a lovely Micaëla, demonstrating some very fine breath control with seemingly endless lines and a ravishing legato. She floated some enchanting and well-sustained pianissimi at the top of the voice although the top did tend to sound tight at fuller dynamics, suggesting issues with the placement of the voice up there. In the supporting cast, I was most impressed by Jean Teitgen’s rounded and resonant bass – his speaking voice was just as attractive as his singing one. Chantal Santon-Jeffery and Ahlima Mhamdi made Frasquita and Mercédès a lot more memorable than they often are with their easy vocalism and witty dispatch of their lines, reminding us that this is at heart an opéra comique. 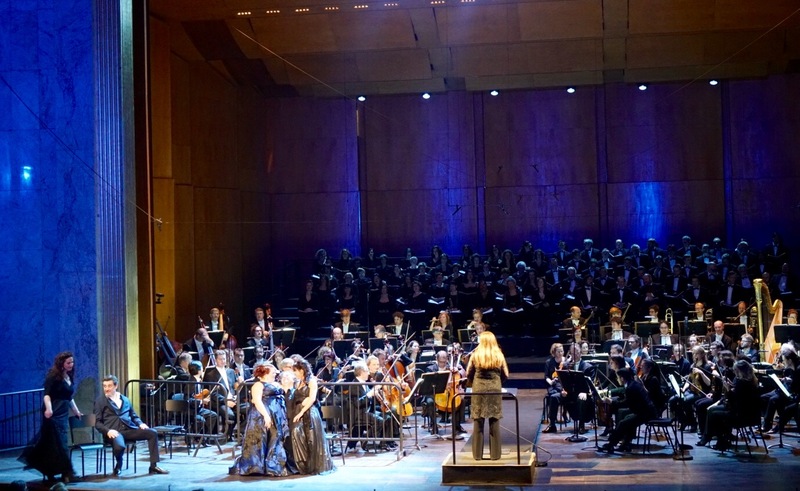 Simone Young secured some excellent playing from the Orchestre National de France. Young is absolutely fascinating to watch – her gestures are so clear and precise. She drew out the beauty of Bizet’s lyrical lines yet also allowed those heady pulsating rhythms to flourish. String intonation very occasionally went awry, as in those high-lying lines in the Act 4 prelude, but otherwise the playing was extremely good – the solo clarinet in particular very distinctive in the texture. The phenomenally well trained children’s chorus sang with staggering ensemble and impeccable unanimity of tone. The adults also sang well – I especially enjoyed the fabulously brassy mezzos – though the tenors had a tendency to fall behind the beat at times. It really was remarkable to think that tonight was a role debut for Lemieux and Spyres, both of whom offered us performances that are already vital and total interpretations of their roles. Lemieux’s Carmen is already a complex and convincing creation and I very much hope that she gets to repeat the role in a fully staged production soon. Tonight we had a gripping and visceral evening of opera, one I wager those who were present will not soon forget. Previous The Long Goodbye: Der Rosenkavalier at the Royal Opera House.